I am having a pedestal built for this washer/dryer side-by-side combo. Anything special I should consider besides depth and width before building? 4.9 cu. 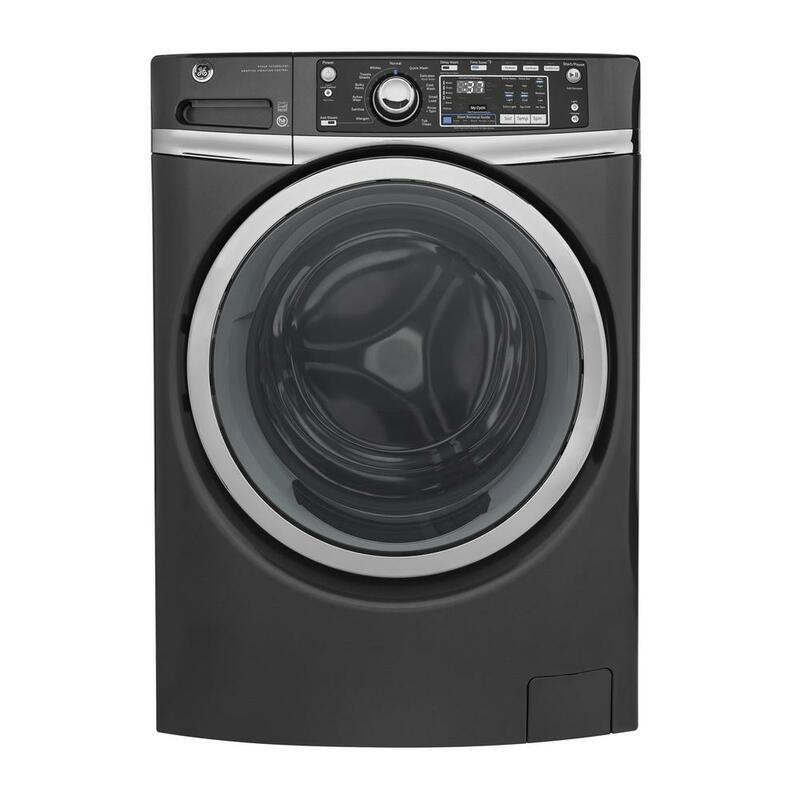 ft. High-Efficiency Stackable Diamond Gray Front Loading Washing Machine with Steam, ENERGY STAR is rated 4.2 out of 5 by 119. Rated 5 out of 5 by MossPapa from Great machine! We’ve had this machine a couple of months now, and having moved our laundry to the main floor (from the basement) we appreciate the quiet operation of this machine. Easy to understand controls, even though first glance I thought it complicated. I was wrong. Since it is visible off the kitchen, I appreciate the machines goo looks in the dark blue color we chose. Rated 1 out of 5 by AL from This washer does not spin! have had it for 4 years and only used for 3.. had applaiance tech come... This washer does not spin! have had it for 4 years and only used for 3.. had applaiance tech come out and he told me it was my floor making my washer get off set and not spin. which is werid cause i have a brand new home and im pretty sure there is not problem with the flooring.. and besides that this washer is suppose to have a vibration control to adapt! Rated 4 out of 5 by GE2018 from GEW2018 We like the washer but it taking some time to get use to the high efficiency use water. We have to use the prewash feature to feel satisfied that the clothes has been thoroughly cleaned. I have to admit, our water consumption has gone down drastically. We hope this machine last as long as the one we replaced (18 years). Rated 3 out of 5 by sheri22 from Not enough water The Washer has many features, but I feel like it does not use enough water. Also the wash cycles are lengthy, however it does have the time save button which is nice. Rated 3 out of 5 by Owl viking from GE washer The rubber ring around the door is difficult to get out/keep clean pet hair. Does not seem to cleaner well. Need to run loads through twice. Rated 5 out of 5 by Jaxsmom from Solid Clothes Washer I love the color, but more importantly the reliability of this product. It has great performance, quiet and the clothes are very clean. Rated 5 out of 5 by Hock85 from Great Purchase! No complaints! Cleans huge loads and the places i work i get very dirty and my clothes come out clean clean clean, lov it! Rated 5 out of 5 by Reggie27 from The BEST washing machine I have ever owned! This machine is a serious workhorse. Thoroighly cleans clothing, bedding, towels, etc easily without wearing them out.